RTI or Right to information Act 2005 stands for Right To Information and has been given the status of a fundamental right under Article 19 and 21 of the Constitution. It has been able to bypass the iron curtain of Official Secrets Act 1923. Article 19 under which every citizen has freedom of speech and expression and have the right to know how the government works, what role does it play, what are its functions and so on. It has something to do with Government. So apart from Govt Departments like, say, Ministry of Human Resources, it is also applicable to panchayat office, Govt Co like Indian Oil, ONGC,West Bengal Industrial Dev Corpn Ltd. etc. The term which has been used in appropriate competent authority and appropriate Govt in the Act - from whom information can be sought. As such competent authority and appropriate Govt includes President of India, Governor of India,Chief Justice of India (SC and High court), Speaker of Loksabha and Assembly. e.g. RTI activists has been able to get qualification of MPs even from the speaker of Loksabha. Article 21 talks about Protection Of Life And Personal Liberty. No person shall be deprived of his life or personal liberty except according to procedure established by law. RTI is not applicable to a Pvt Co, say, ITC directly. But the information can received indirectly. However Section 2(f) says information includes information relating to any Pvt body which can be accessed by a public authority. e.g. you can ask Excise deptt how much Excise is paid by ITC, you can ask IT Deptt what are the assets declared by, say, Amitabh Bachchan in his Income Tax return. The basic object of the Right to Information Act is to empower the citizens,promote transparency and accountability in the working of the Government and utilization of public money.We have 3 tier Govt - Central, State and Local body. Anybody or deptt which is funded or established directly or indirectly by public money (e.g. all District Magistrate[DM] and their office) is answerable to us. Analogically just like a maid servant appointed in our house , is answerable to us, so are the DMs. That is why all political organization should be under RTI (they are not paying any Tax - so indirectly funded by us - e.g. Congress is paying a token rent of only Rs 10,000 for a property valued at few crores).RTI activists are trying to include them under the purview of RTI. Some popular RTI queries are : Passport delay, Income Tax Refund,copies of answer sheet,FIR status, Scholarship,Employee Provident fund transfer or withdrawal status , recruitment policy of a PSU,compensation for land etc. It is a two tier Act - State level and Central level. 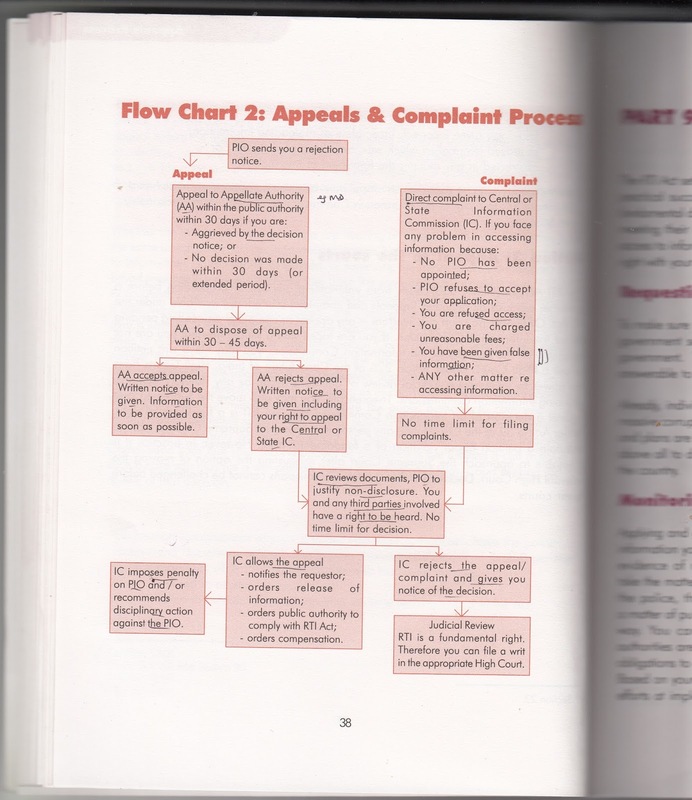 Therefore it has two tier jurisdiction depending upon whether it pertains to State or Centre. For example in case of Central Govt Deptt prepoer forum is CIC. 1. Apply to PIO or Public Information Officer. In case of Central Govt Organization it is called Central Public Information Officer or State Public Information Officer in case of State Govt organization. In my Co ( Govt Co - under Companies Act 2013) Company Secretary is the PIO. One can write just PIO instead of writing the name. PIO is appointed u/s 5 of the Act. However in case of Vishwabharati / IIT / office of President of India PIO is PIO and not CPIO. 2. It should be accompanied by Indian Postal order/ Non judicial stamp paper/ Demand draft or Banker's Chq /Court fees of Rs 10 in West Bengal. It is Rs 10 in most of the states.No fee for BPL. Some states do not accept Demand Draft etc. In case of DD there is a practical problem "Payable to whom?". 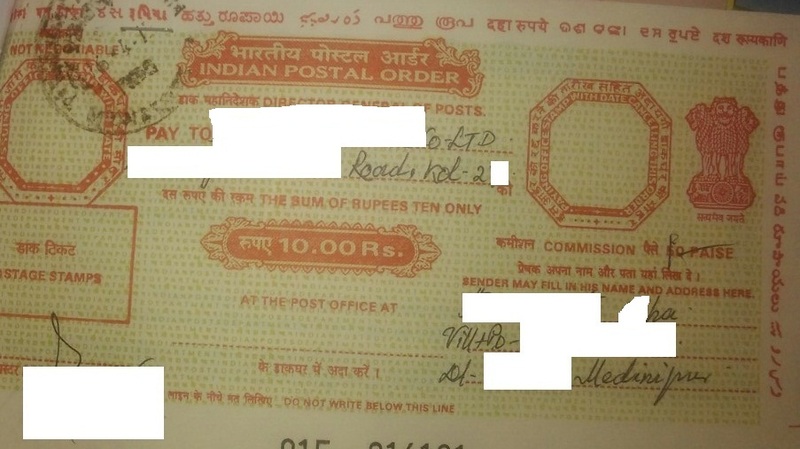 Indian Postal order is universally acceptable in all the states. 3. The Indian Postal order ideally should not contain the name of the company unless you are sure. Even if IPO is blank (ie not endorsed) PIO is obliged to fill it up himself and not harass the information seeker on frivolous grounds. In some companies PIO wrongly return back the IPO saying it is not endorsed (meaning the name is not mentioned in IPO). 5. PIO has to reply maximum within 30 days. However in case of life and liberty it should be maximum 48 hours. e.g. in case of a senior citizen staying alone in Salt Lake (say), even denial of restoration of telephone line or gas connection can be covered under 48 hours clause. This term life and liberty can be interpreted depending upon facts and circumstances of the case and cannot be compartmentalized. Everything is left to your interpretation - though it can be challenged. 6. 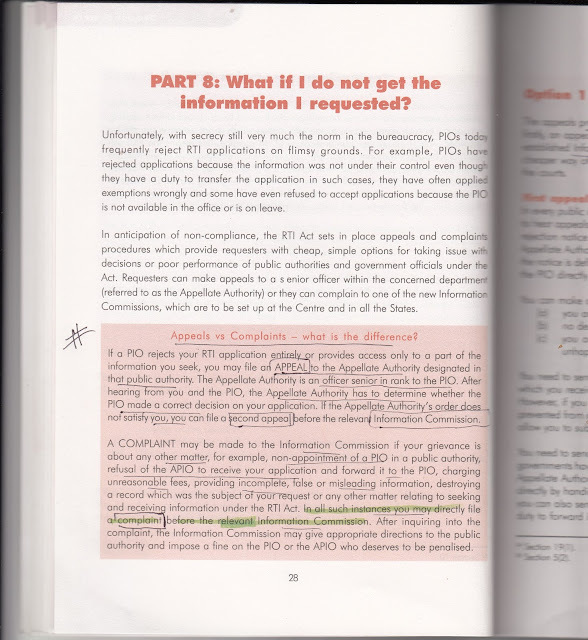 Information is sought under section 6 of RTI Act 2005. 7. If PIO thinks he can ask for IPO ( or other mode ) of higher value to recover cost - but it cannot be a ground of delay. Both the process should go parallely. 8. 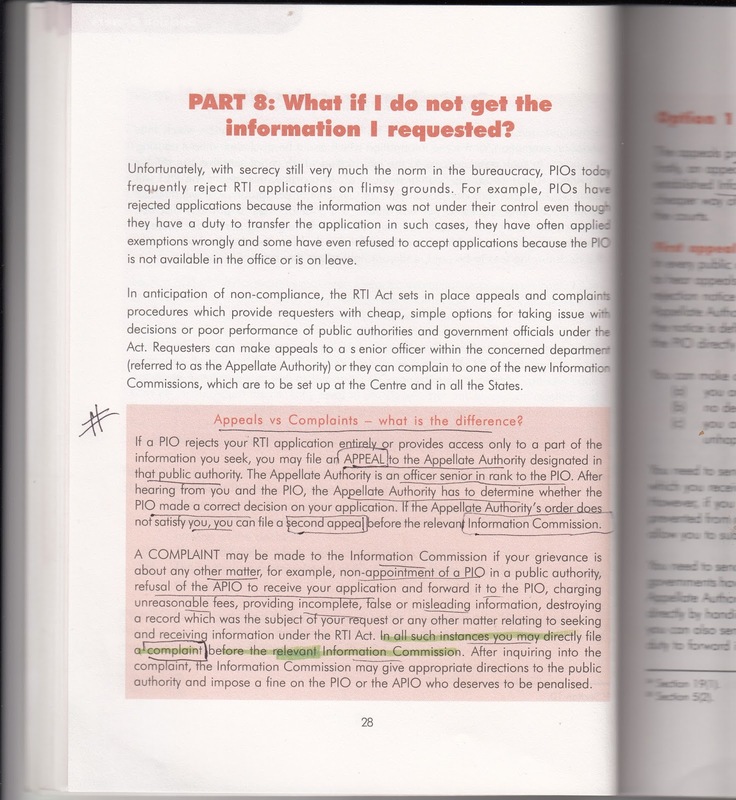 PIO can reject the RTI on the ground of section 8(1) of RTI Act 2005, because it is confidential commercial information (In fact in my Co one case was rejected under section 8 of RTI Act) or sensitive information which is likely to hinder social fabric or provocative information which can jeopardize national integrity (e.g. no. of Policeman deployed in Babri Masjid). 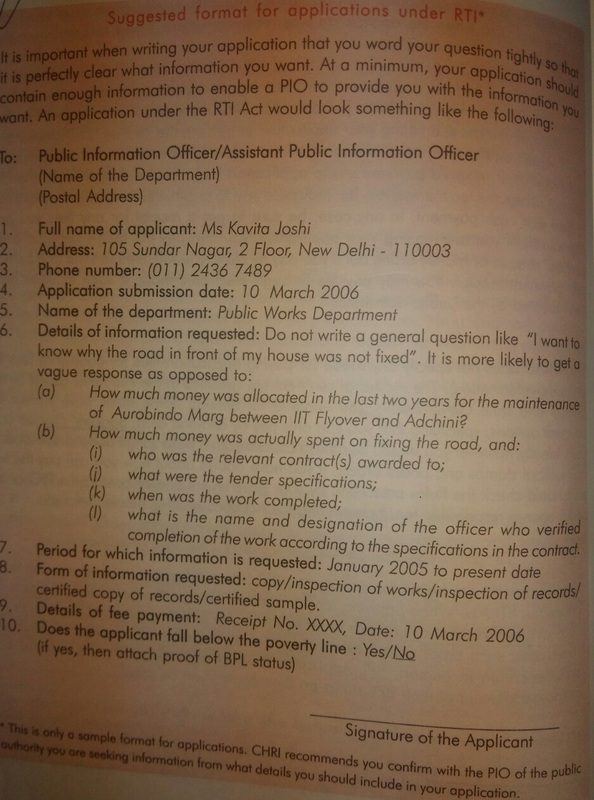 However under section 8(2) if public interest warrants divulging such information, then it can be published. e.g. Singur case agreement was open for 4 days before it was withdrawn on the intervention of Ratan Tata. But under section 8(3) it can be divulged after 20 years by Govt. , if it thinks, it is fit to do so. 10. If applicant is not happy with the answer or question is rejected altogether, then applicant can appeal to Appellate Authority(AA). Normally in an office, AA is the Managing Director. 11. If you are not happy with the order of AA then your 2nd appeal lies to Information commission - in case of state to State Information Commission or SIC (or CIC in case of C Govt related question). Appeal can be made under section 19 of RTI Act 2005.
made directly to the Information Commission. 13. If PIO does not give information and is adjudged guilty then he has to pay a fine of Rs 250 per day subject to a maximum of Rs 25,000. However habitual defaulter can even be terminated. 14. The role of PIO is to give information and pass on information to the concerned deptt for a suitable reply. If PIO has documentary evendience that information has not been given by the concerned department - then the deptt will be held guilty and not the PIO. 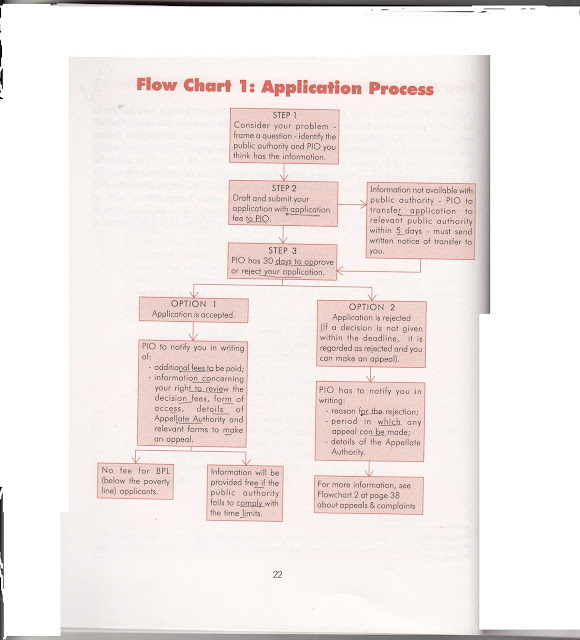 Under RTI there is nothing called internal document unless it falls under section 8. 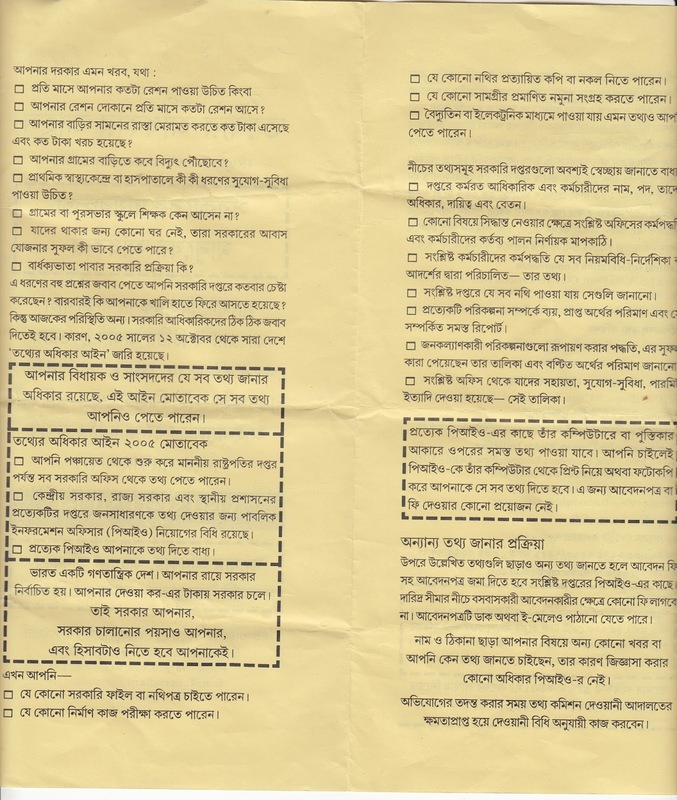 Information supplied by a department can be supplied to the information seeker in verbatim. In 2006 the Congress tried to bring an amendment to exclude file notings from the Acts purview, but thankfully the Act has not been enacted. 15. PIO has to submit Quarterly Statistics and Quarterly return to CIC. 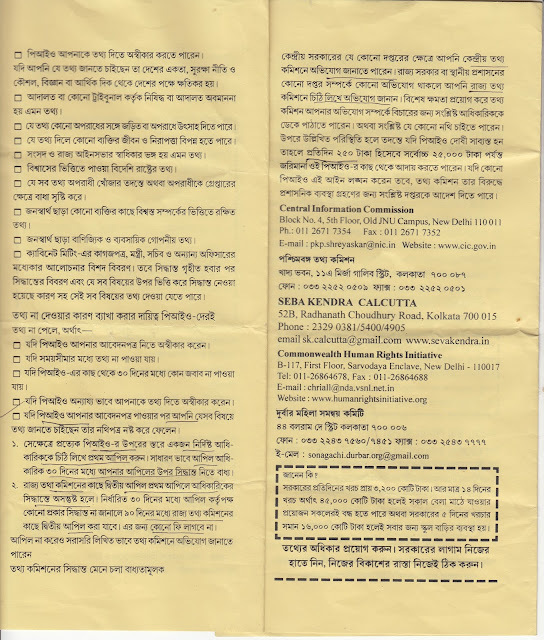 For any help one can take the help of RTI activist Mr. Amitava Choudhury based in Kolkata at 9836 10 76 24 or 9433 70 76 24 - amitavachoudhury.cal@gmail.com. He can be approached for any help - personally or professionally. Without his help, this article could not have been written.